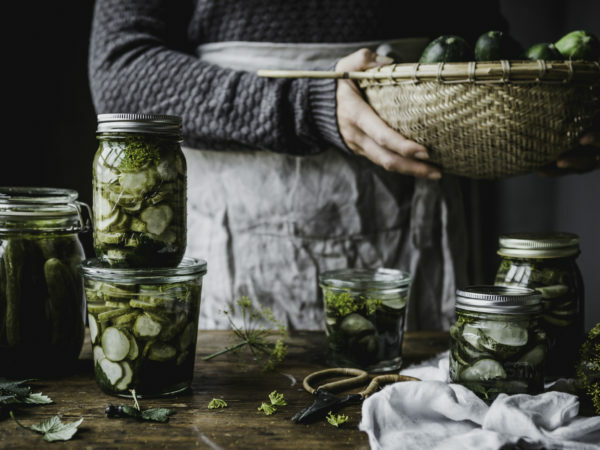 I always make a lot of pickled cucumbers here at home. I prefer to use this recipe with salt. Less sugar, but still just as tasty!